Our Walnut apartment is located 5 min away from downtown in a quiet houses neighborhood. We offer you 1 large room with 1 king size bed and a fully equipped kitchen and bathroom. Sibiu is a unique city and we welcome you to be our guest. We have a very old walnut tree and a well we all love. Our apartment has a kitchen, a bathroom and a large bedroom. What kind of dreams do you have when your sleep is guarded by the magical Fagaras Mountains? Sweet, like the childhood ones. What kind of dreams do you have when you sleep in the softest bed in the world? Careless, like the ones you had in your grandparents’ house. What kind of dreams do you have when on your windows lay some beautiful snowflakes or some delicate apple flowers? Happy, like in a perfect world. 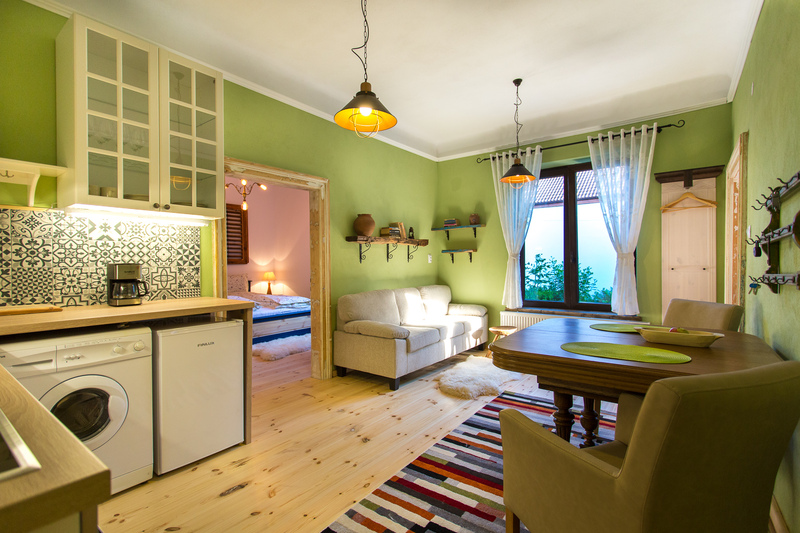 We have a big room, with two single beds, with wooden furniture, with a big terrace from where you can admire the highest and most charming mountains of Romania: Fagaras. The room has private bathroom facilities and free WI-FI. Our spacious house is located 5 min away from downtown in a quiet houses neighborhood. 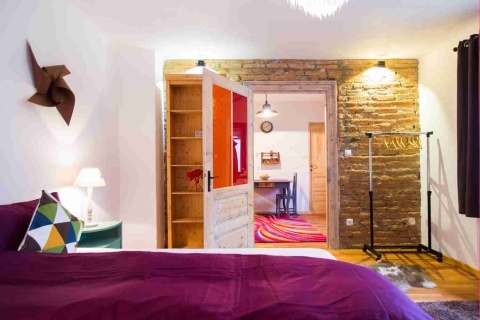 We offer you 1 large studio and 1 room with 2 beds, a living room, a fully equipped kitchen and bathroom. The House accommodates 4 persons. We have a spacious garden with grass and flowers and the house itself is very large. At the main floor is the living room, up the stairs are the 2 rooms, the bathroom and the kitchen. Space is what makes our house more unique than others. Our apartment is located in a houses neighborhood and is nice and away from the main street noise. Very quick to get to down town - 5 min by car and 10-15 min nice walk. Supermarket and the town main fruit and vegetable market are in our neighborhood. There is public transport a few streets away. Taxi's are very cheep - about 2 euro to downtown. Our house is NON smoking. Smoking is permitted on porch, garden. We let the shoes at the front door and we use interior shoes. You are encouraged to bring your own.